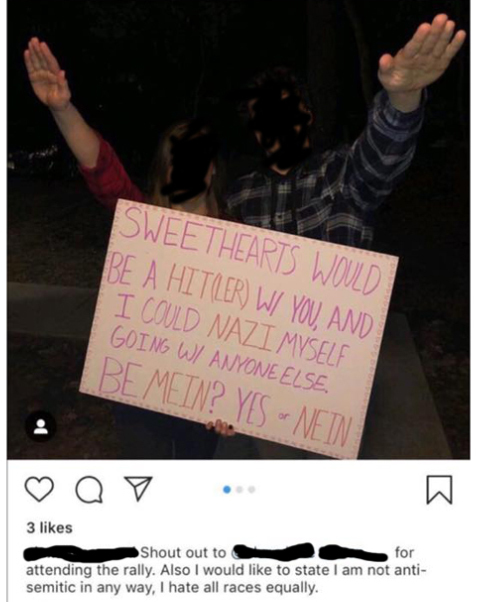 Last week, two students from Minnetonka High School in suburban Minneapolis posted a photo of themselves giving a Nazi hand salute accompanied by an antisemitic sign. This incident is just the latest of a number of similar instances, with photos surfacing from Indiana and Wisconsin showing students giving the Nazi salute. Understandably, each case has sparked calls for more and better Holocaust education in schools. This latest photo prompts the question: what do students in Minnesota’s public schools learn about the Holocaust? Gauging the state of Holocaust education in the United States is no easy task. The decentralized nature of American public schooling means that state departments of education, local districts, and individual classroom teachers decide what to teach and how it is taught. No comprehensive survey of the state of American Holocaust education exists, and such an assessment would be nearly impossible to conduct. The New York Times recently reported on an unsettling survey, which found that while the majority of Americans believe Holocaust education is important, many people, especially millennials, lack even a basic awareness of the history of the Holocaust. In 2013, Rhonda Fink-Whitman’s viral YouTube video showing American college student’s lack of knowledge of the Holocaust renewed a push for Holocaust education legislation in Pennsylvania and across the country. Indeed, Pennsylvania joined a growing list of states that have passed Holocaust education legislative mandates. While no such mandate exists in Minnesota, the Holocaust is included in state social studies standards for both middle and high school students. One might reasonably assume that most students in public schools encounter the Holocaust at least once in the course of their education. Indeed, Minnetonka High School leadership, as well as the Jewish Community Relations Council of Minnesota and the Dakotas has reported that Minnetonka students do receive instruction in the Holocaust, and many students had even heard local survivor Judith Meisel speak during the last year. Indeed, Judith (Judy) Meisel also spoke last year with high school students in my comparative genocide and human rights elective course about her experience during the Holocaust, as well as her later involvement in the civil rights movement in Philadelphia during the 1960s. Judy spoke very powerfully about the dangers of both antisemitism and racism. Though a powerful experience for my students, without the context of the history of the Holocaust and other the genocides we’d been studying all semester, I wonder what my students would have taken away from Judy’s talk if it had been their only exposure to the Holocaust. Perhaps, in light of the photos that have surfaced, we should not only be calling for more but better, more purposeful Holocaust education in Minnesota and across the country. Though in the midst of making such calls, we should bear in mind that what’s needed is more robust education on the history of the Holocaust, rather than lessons solely focused on tolerance. Too often it seems that in classroom practice, the history of the Holocaust is eschewed in favor of lessons that aim to shock or moralize, to instill in students, according to Holocaust education researcher Simone Schweber, “the moral lessons most people want conveyed to students from rigorous study of that history – that racism is abhorrent, that interceding on behalf of the unjustly oppressed is necessary, and that every single person can make a difference in the world.” While, on the surface, these are admirable educational outcomes, Holocaust historian Yehuda Bauer writes that “the Holocaust is too often turned into vague lessons of the danger of hatred or prejudice at the expense of really trying to understand the reasons and motivations for the genocide.” Though it seems an obvious statement, in order for Holocaust education to be effective, it must be done well; students must learn about the history of the Holocaust, its antecedents, the breakdown of the democratic state, the mechanisms of othering and persecution, and its aftermath. It is also important to remember that, even when it is done well, Holocaust education is not a panacea for all of the ills of contemporary society, but it can, in conjunction with learning about other topics, help create more knowledgeable, thoughtful, and tolerant students. To be clear, the photo posted by two Minnetonka High School students is repugnant. It speaks to the need for more and better Holocaust education in Minnesota. Students need more exposure to the history of the Holocaust. Single-day lessons and isolated visits from Holocaust survivors, while powerful experiences, will likely do little to educate students about the roots of the Holocaust and help them recognize and challenge contemporary antisemitism. In our calls for more Holocaust education, we should also call for more teacher support. Teachers need increased professional development, especially social studies and English language arts teachers, who in Minnesota, are not required to learn about the Holocaust or Holocaust education as a part of licensure. Most states that pass Holocaust education mandates go on to fund the creation of a robust curriculum for students, increase funding and opportunities for teacher professional development, and develop partnerships with Holocaust museums and educational organizations. Perhaps it is time for Minnesota to consider a Holocaust education mandate. Editor’s Note: For over 20 years, the Center for Holocaust & Genocide Studies has offered world class resources and workshops for educators looking to bring lessons about genocide and mass violence into their classrooms.